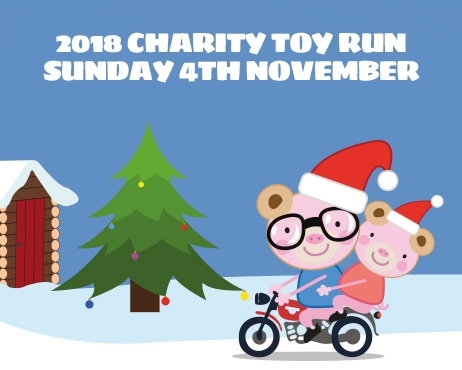 On Sunday 4th November 2018, it will be Bill Smiths Motors & Smiths Honda’s 14th Charity Toy Run to Claire House & will also be the third year supporting Lady Taverners. We know you are all amazing at showing up for a good cause - nearly 300 of you turned up the year before last to showed your support! Let’s see if we can get 350 this year! We are all busy but please make a bit of time for this fantastic charity ride out & Toy Run from Smiths Honda to Claire House Children’s Hospice. The more the merrier & if you have a bit of fancy dress then now’s the time to dig it out. Competition for best dressed bike/biker! We have supported Claire House Children’s Hospice on the Wirral since before they even built the place. They provide respite, end-of-life and bereavement care for children and young adults with complex medical needs. The ride out also supports Lady Taverners, a charity giving young people, particularly those with special needs, a sporting chance in life. Both charities rely solely on fundraising to keep them going so this ride is important for so many children this Christmas! There will be an Auction with some fantastic prizes. Raffle tickets are available before and on the day, and don’t forget to purchase your Toy Run T-shirt! PLEASE SPREAD THE WORD!! LET’S MAKE THIS ONE THE BEST YET! £5 registration fee applies. If you would like to join us on the ride then please call into Bill Smith Clothing Department to register.